Congratulations on Festival Disney Performances! Congratulations to Chamber Ensemble and Sotto Voce choirs for superb performances at Festival Disney! We are so proud of your accomplishments. Your performances were nothing short of stunning for the audience. Both ensembles earned Superior Ratings from the judges. Chamber Ensemble earned a Silver Mickey Award. Congratulations on amazing performances and magical weekend at Disney World! Tuesday, February 26- Friday, March 8! Choir students have been hard at work preparing for the Choral Festival season, including their Festival Disney performance--which Chamber and Sotto will participate in next month. Leading up to Festival, all three CRHS choirs will perform in a Pre-Festival Concert on Tuesday, February 19 in the CRHS Auditorium at 7:00pm. Our auditioned choirs will receive a 15 minute clinic after their performance from Dr. Young of UNC-G and Carol Riggs, retired Master Choral Conductor and Adjudicator. ​Tickets are $5 at the door; seniors 60 and over, children 13 and under, and Orange County employees enjoy free admission. UPDATE: (12/13/18 2:15pm) 13 Tickets remaining! Tickets for our Friday Night and Saturday Night Madrigal shows sold out in mere hours after going on sale. In response, we will be offering a third show so more families can enjoy the event. We will offer a Saturday Matinee on December 15 with doors opening at Noon and show to begin at 12:30. Tickets will be $30 and will enjoy a 2 course meal. The full show and concert will still be performed. 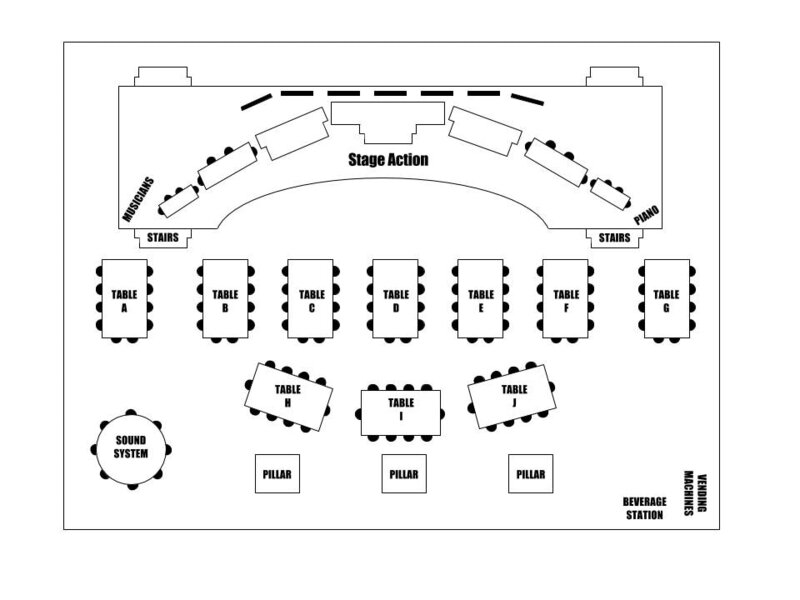 Seating will still be offered at the existing table setup. Tickets will be available beginning Thursday, November 15 at Noon during Lunch. These must be purchased from Mrs. Phillips. Be sure to let her know if someone in your party will need a vegetarian meal as well as each guest's dessert preference of Chocolate Cake or Sticky Toffee! Hillsborough Candlelight Tour Performance- UPDATE! The CRHS Concert Choir sings seasonal songs during the 32nd Annual Hillsborough Candlelight Tour on Sunday, December 16. Join us for this free performance at 1:00pm at the Hillsborough United Methodist Church. This will serve as the Final Exam for students in Concert Choir. Click the image below to learn more about the Hillsborough Candlelight Tour, presented by the Hillsborough/Orange County Chamber of Commerce. Madrigal Tickets on Sale starting Nov. 14! The Cedar Ridge High School combined choirs will present their 15th Annual Madrigal Dinner on Friday, December 14, & Saturday, December 15, at 6:30 p.m. in the CRHS Cafeteria. This holiday feast is accompanied by lords, ladies, knights, and jesters who will bring to life the play, The Musical Ambassadors of Good Will, for an evening of hilarity, song, and Christmas cheer. Admission is $35 and tickets must be purchased in advance from Mrs. Phillips. Tickets go on sale Wednesday, November 14. Checks must be made out to CRHS Chorus Boosters. Please use the diagram below in order to prioritize your table preference. Be sure to let Mrs. Phillips know if someone in your party will need a vegetarian meal as well as each guest's dessert preference of Chocolate Cake or Sticky Toffee! We are unable to offer vegan meals or gluten free desserts at this time. There's no limit on tickets, but they will be sold on a first-come, first-served basis, and they do sell out quickly! Last year's ticket sold out in record time! The three Cedar Ridge High School choirs — Concert Choir, Sotto Voce, and Chamber Ensemble — will present their Fall Concert on Monday, October 22, at 7:00pm in the CRHS auditorium. Tickets are $5 at the door; those age 60 and over and children 13 and younger enjoy free admission. Doors open at 6:30. Music Department Season Passes for the 2018-19 school year will be available for Purchase. The cost is $10. This grants you access to all Band and Chorus Concerts held at CRHS, excluding the following: Madrigal Dinner or any Off-Campus Events. These will only be available for purchase at the Choir Fall Concert and Band Winter Concert. After that, only regular ticket sales will take place for the school year. Passes are for individuals, so multiple family members would need to purchase multiple passes. Please come out and support the CRHS Choirs! The CRHS Chorus Program presents their first "Evening of Entertainment" of the season on Tuesday, October 16! This student-run musical showcase takes place at Union Grove United Methodist Church, 6407 Union Grove Church Road in Hillsborough at 7:00pm. Admission is $5 at the door, snacks and drinks will be available for purchase. ​All proceeds support the Chorus program. Bring a friend, or two!